These lenses have a really pretty and densely pigmented flower pattern, meaning that the color pixels are really close to each other. The print itself is fairly simple but it's really effectful and eye-catching. There's also a bold black limbal ring that has some jagged "spikes" towards the center, making the design look like flower petals. Around the pupil hole is a tiny spiky pattern that runs around the opening, differentiating the blue of the lens from where it will meet with your real eye color. It's a cute print, I have to admit. As you can see the color coverage is indeed impressive (I have naturally light blue-gray eyes) and the blue is a really vivid and beautiful shade. 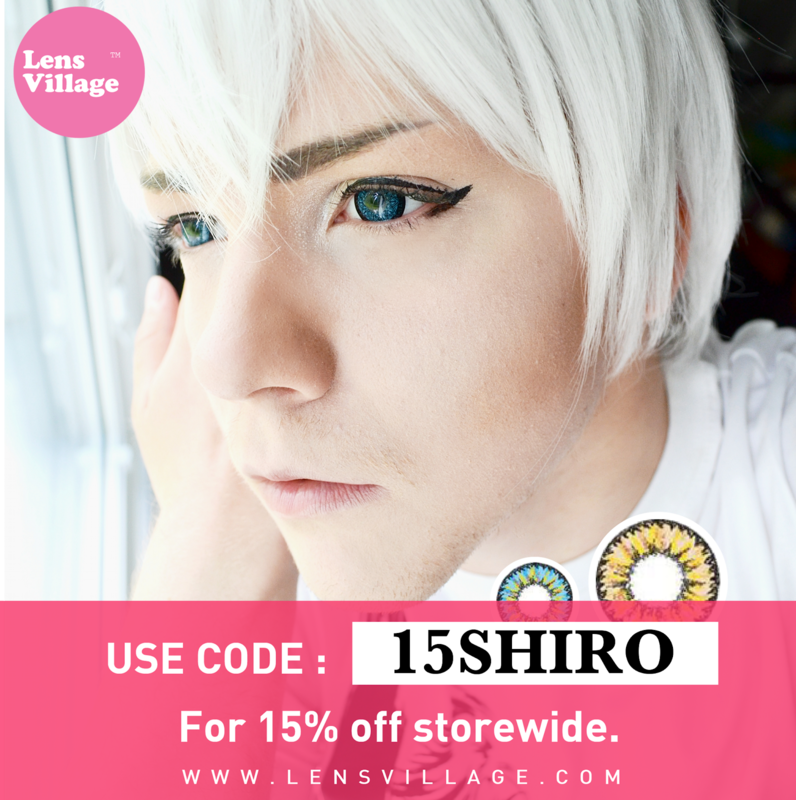 The color is nothing short of amazing and this is definitely a lens that cosplayers will enjoy! 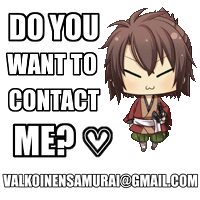 Actually, the design seems to give of an 'anime eye' effect and it comes with a decent enlargement too. By decent I mean that it's actually quite the perfect size because it's not small but it's not overly big either, which means that it's a versatile size and will work well for cosplaying both male and female characters. 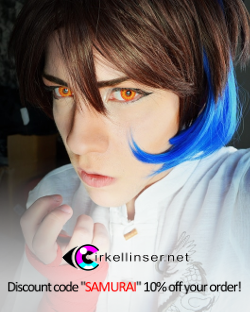 :) These lenses are not too big and I can actually wear them without makeup and it doesn't even look out of place, despite the lenses clearly being one of the best cosplay lenses that I've come across so far, at least in terms of color and design! I seriously love that blue color, it's so damn good. All photos taken by me during a January afternoon with a semi-clear sky. All close-up photos are free from color filters and such and that's so that the colors would be as true to real life as possible. Apartment room light, only natural (window) light. Facing a window in the corridor. Not sun side. Extremely yellow light in the corridor. Outdoors, facing the sun. Cloudy. 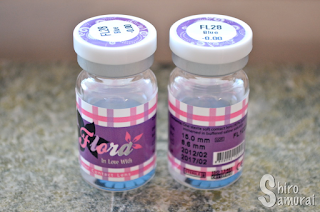 Regarding comfort I must mention that I opened these very late, and by very late I mean I took them out of their vials a couple months before they would have expired. This means that my comfort grading might be inaccurate and/or unfair and thus I recommend that you take it with a grain of salt. Of course everyone's eyes are different as well but I do suspect that a late opening affects the comfort because I've always had lesser comfort on late-opened lenses, so far. So yeah, when I first wore these they were a tiny bit uncomfortable for the first couple minutes but it went away. I do feel that I have them on and I notice that they occasionally blur my vision (especially indoors) – it's nothing bad though and I could imagine wearing these to a convention. It might just be me having a bad eye day (my eyes are generally dry and sensitive) but these started to feel drying already after the first hour had passed. My estimated wearing time is around 3 hours, without eyedrops. 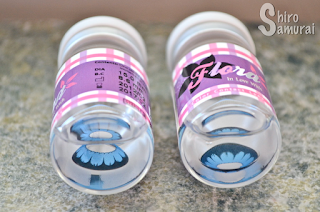 So yeah, even though I can't call these natural by any stretch I must admit that I'm surprised how well they go without makeup; I did this whole lens review au naturel, lol. I was sure that because of the black limbal ring and the intense color these would look weird with my makeup-less face but... they didn't. So yeah, in a way I can see these being used as a semi-casual lens, assuming that your fashion style fits with the lenses of course. 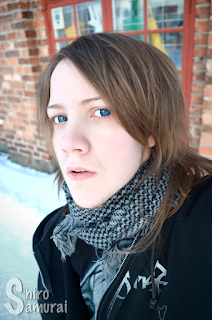 But I'd still say that for me the Brenda Blue are first-hand an awesome cosplay lens! The color is so impactful and will surely stand out even from a distance. I love these lenses. Highly impressive, colorful and vivid blue. 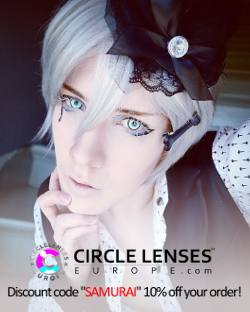 A perfect cosplay lens! A flower petal inspired design. Simple but really effectful. Less is more, in this case. Amazing color coverage. Very densely spaced pixels, my real eye color doesn't shine through. Quite average. Start to feel dry early on my sensitive eyes and occasionally blurs my vision. Way too colorful and flashy to pass for real eyes. Weirdly enough, these still look good without makeup.